Type: 'Smart climate-control in every room. Puck device operational & connected to Flair via the internet. 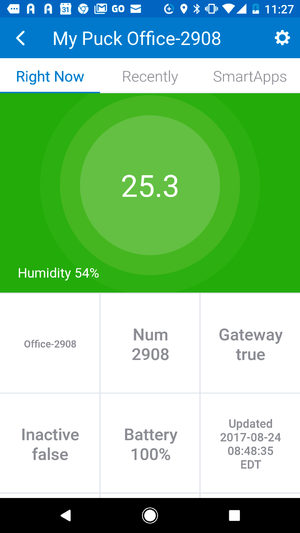 Use of the SmartThings classic mobile app (the DTH still doesn't work with the new Samsung Connect mobile app as ST is working on the required migration steps). Functionality:Works with Central Systems, Window ACs, Mini Splits—and more. 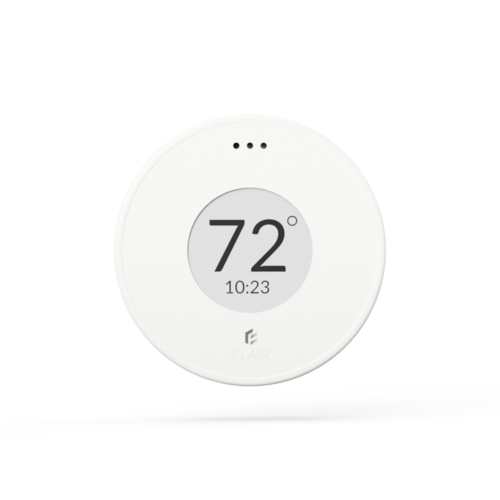 The Puck wireless thermostat automatically adjusts room temperature, observes and keeps track of room conditions, and turns off when you leave. 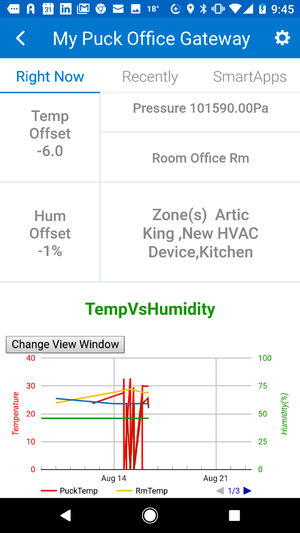 Features easy-to-use controls on our iOS, Android, and web app. My Puck device uses the HTMLtile for rendering the graph. As ST is not supporting the HTMLTile, it may not work properly on all devices. This is a ST UI platform issue and not related to my code per se. b) Click on My Puck device, click on "simulator" on the right and the button under "API URL" as indicated below to launch the rendering. 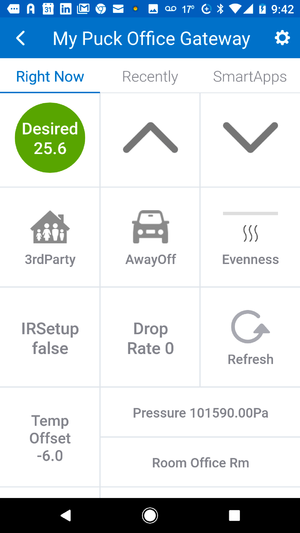 The Flair APIs don't provide any information on the battery level, just the system voltage. The battery level is then grossly calculated. You should not rely on the battery usage provided. Please contact the Flair support if you want better battery usage values. The ST-Flair integration code is sending the right offset to the Flair APIs, but it seems that in some cases, the offsets are not always applied correctly. The temperature observed is often too high and seems to spike from time to time. Please contact the Flair support if you have any similar issues. Most of the time (unless specified otherwise), you just need to copy and paste the My Puck Device's code from the the related txt files, and save & publish. The temperature scale needs to be changed for your ST account under the ST classic Mobile app, so that all your ST devices will be in the metric system. At the next "refresh", My Puck Device will display the values in the metric system.